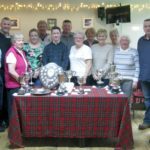 Campbeltown Bowling Club’s best bowlers were rewarded with silverware at the club’s annual outdoor season prize-giving. 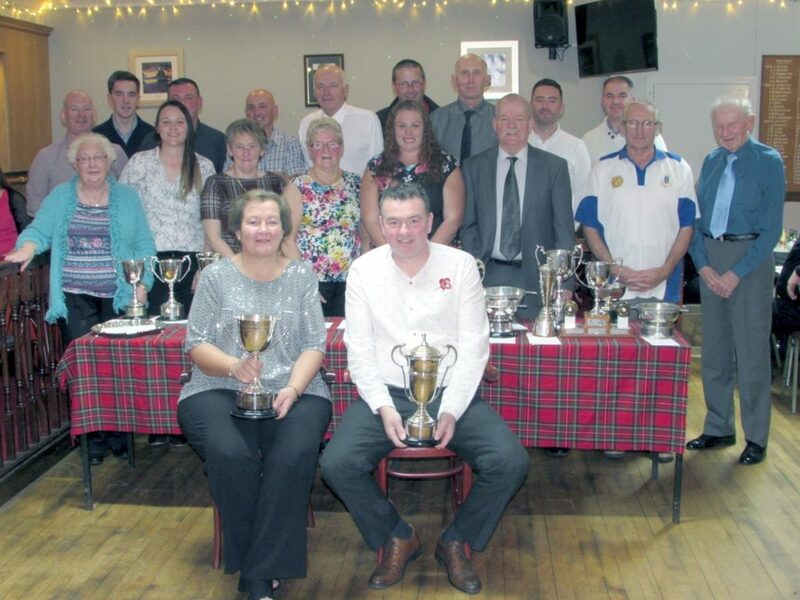 The event, at which presidents Duncan MacInnes and Susan Gilchrist presented trophies, was well attended by winners and club members. Championship: Bobby Dalziel, runner-up Jimmy Anderson. Ladies’ championship: Shirley Bannatyne, runner-up Susan Gilchrist. President’s prize: Jimmy Anderson, runner-up Bobby Dalziel. Ladies’ president’s prize: Shirley Bannatyne, runner-up Catherine McEachran. Hoynes’ Cup: Gary Anderson, runner-up Gavin McLachlan. Fisherman’s Trophy: Shirley Bannatyne, runner-up Shona Anderson. Centenary Trophy: John McLean, runner-up Dugald Graham. Past Presidents: Jimmy Anderson, runner-up Steven Dickson. Ladies’ Past Presidents: Shirley Bannatyne, runner-up Susan Gilchrist. Senior Singles: Hugh MacDonald, runner-up Alistair Mackay. Blue Trophy: Alex Black, runner-up George Allan. Ladies’ Two Bowl: Susan Gilchrist, runner-up Shirley Bannatyne. Men’s Two Bowl: Archie Johnston, runner-up Alex Black. Novice Singles: Ryan McLachlan, runner-up Charles Lang. 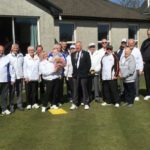 Men’s Pairs: Steven Dickson and Robert McDougall, runners-up Alex Black and Brian Dewar. 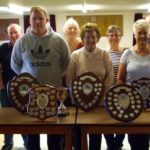 Ladies’ Pairs: Shirley Bannatyne and Michelle McMillan, runners-up Susan Gilchrist and Roberta Lafferty. 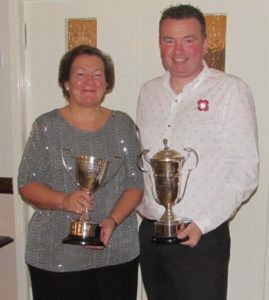 Champions Shirley Bannatyne and Bobby Dalziel.